Institute of Management Technology (IMT), Nagpur celebrated the 71st Independence Day of the country on August 15, 2017. OVIA- the Cultural Committee, organised this event. The Tricolour Flag was hoisted at 9:00 a.m. by Dr Gajavelli V.S and Dr Vikramaditya Ekkirala was also present to grace the event. 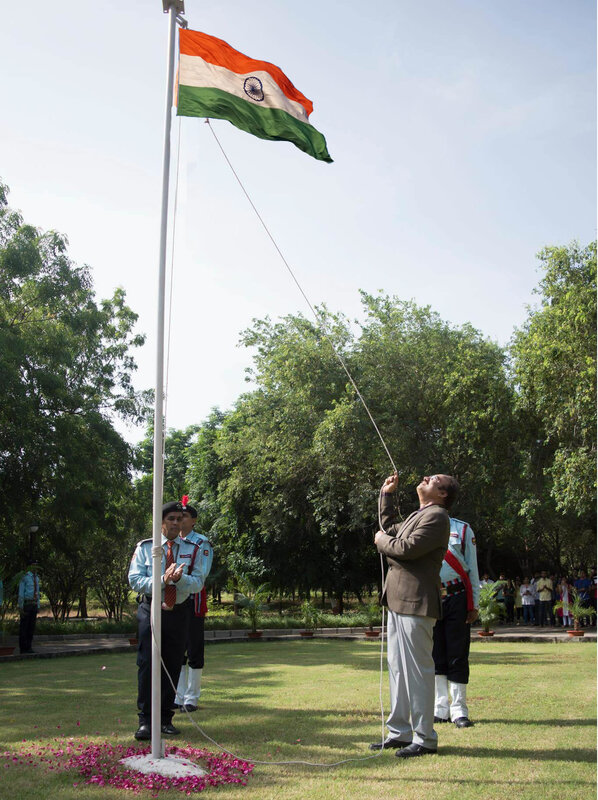 This was followed by the National Anthem which was sung by security department of the college. The guests for the event, Dr Gajavelli V.S and Dr Vikramaditya Ekkirala then delivered a speech on Patriotism and Women Empowerment. The event was attended by faculty members, working staff and student managers of the college. A platoon of security guards of the college performed a march-past and the National Song of the country, ‘VandeMataram’ was melodiously sung by the members of Zymfonia- The music forum of the college. The event concluded by distribution of refreshments to everyone.